I have been experimenting some with coconut flour. So far I have mixed feeling. 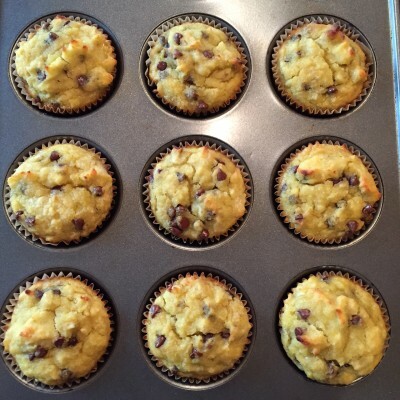 I made some muffins this week that tasted great the first day. I thought maybe I finally had a recipe that I was happy with, but the next day the muffins did not taste nearly as good. The texture was very different than the first day and the taste was much stronger. So, I guess I still have some work to do on them. Do you have any tips for cooking with coconut flour? I love fun mail days. 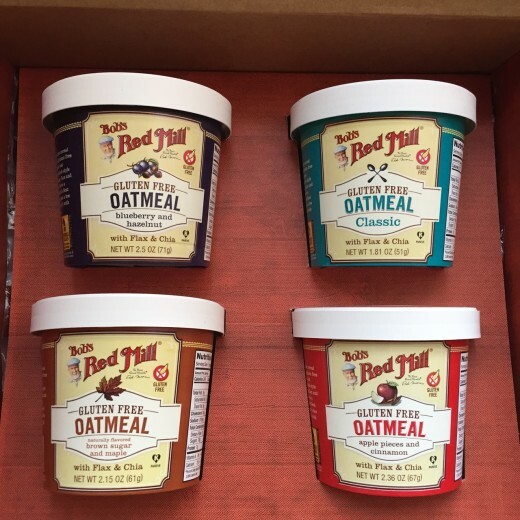 Bob’s Red Mill sent me some of their Bob’s Red Mill Gluten Free Oatmeal Cups to try and I loved them. This is a product that I think a lot of gluten free people will love. I won’t use them for everyday, but they will be great for travel and for taking places. All you do is add hot water to it. It is kind of like a cup of soup, but it is a cup of oatmeal. These would also be great for those that need to keep food at work for a quick meal. This would easily fit in a desk or locker and be quick and easy to eat. I love that Bob’s Red Mill keeps coming out with products that make the gluten free life easier. I am not sure if these are in stores yet, but you can find the Bob’s Red Mill Gluten Free Oatmeal Cups on Amazon. Last night I made a pumpkin dessert. It was a new recipe and it tasted great. I had taken a small piece out of the corner to try, but it was dark out and I had decided to wait to take pictures of it until today. The dessert tasted great so I wanted to get some pictures to share the recipe with you all. Then I told my son he could have a piece for a snack before he went to bed. And that is what it looked like when he was done. Secondly did you notice how he cut into the dessert. He went the wrong way. Or at least what I would consider the wrong way. When I saw it and said that I had not gotten pictures of it he said he would be glad to eat some more of it if I needed him to to make it look better for pictures. When I said I was not sure that would work he said good that means you will make some more tomorrow. Again, no words for teenage boys and the amount of food they can eat. No words. I shared this on Facebook earlier this week. It has been awhile since I did a thankful post, but I am going to try to get back to sharing these a few times a week. I have found it really helps me focus on the small things I often take for granted. Today I am thankful that Old Navy online is selling more and more small tall clothes. Love the shirts I ordered. I am thankful for sesame free candy corn because when your family has food allergies it really is the little things that can make you so happy. And yes they are so unhealthy but so good this time of year. 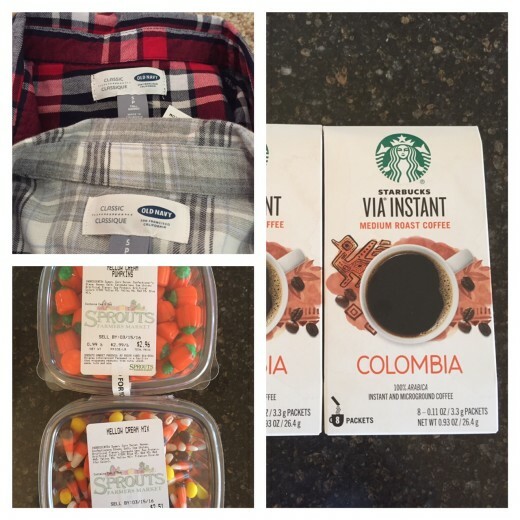 I am also thankful for Starbucks instant coffee. We are not a coffee drinking family and my coffee pot broke a few months ago. Instead of buying a new one that would just take up space and not get used, I now just keep this on hand for guests. I have been told it is actually pretty good and it is much easier to store than a coffee pot. What are you thankful for today? I know I share a lot of sunrise and sunset pictures with you, but this one I shared on Instagram last weekend was too good not to share. We don’t run in the morning very often because I am not much of a morning person, but running early was the only way to fit it in today. This view made my early morning 2.75 mile run a little easier. 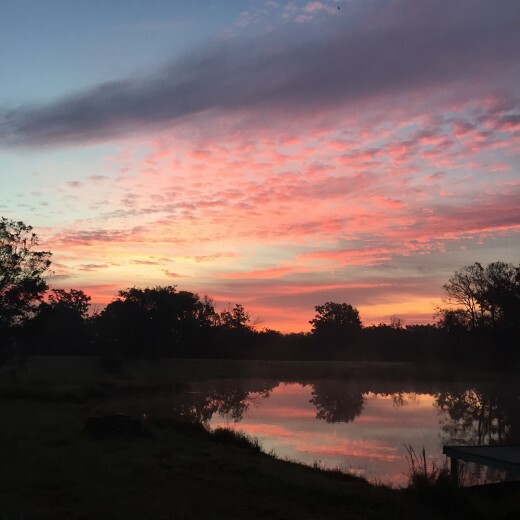 Oklahoma may not have much for mountains and tall trees but we have some amazing sunrises and sunsets. And tomorrow my husband and I are running a 5k race and my daughter is running a 10k. I love running, but am not a huge fan of running in races. I don’t like running in large groups and this race is a huge one. I think more people have entered it than live in the town I grew up in, so I am hoping that it goes well and we have a good run. 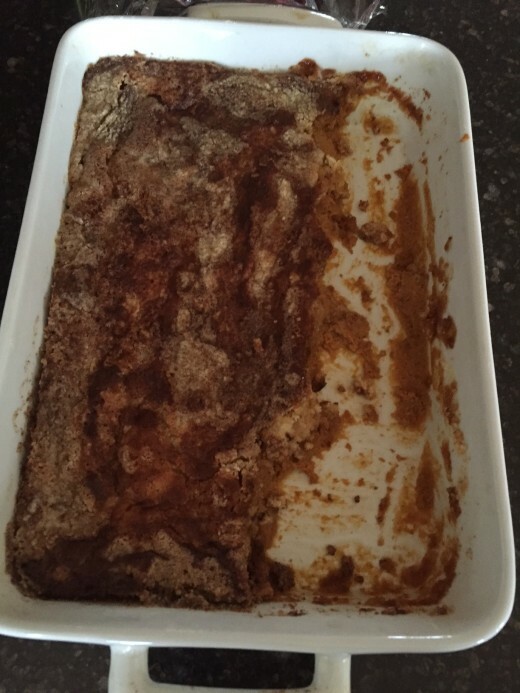 I am surprised no one commented on this post…..I almost laughed out loud when I saw the picture of your son’s dessert demolition! That’s funny! I have 3 sons, ages 11, 9, and 7, so I can imagine the desserts to come. 🙂 Also, Old Navy brand is a staple, in the clothes line, when it comes to my boys’ clothes! I’ve bought many pairs of jeans, chinos, and all types of shirts there…plus numerous shirts for husband. Thankful for Old Navy, too! You can definitely sympathize with boys and food if you have three. It is crazy the amount of food they can eat. 🙂 And yes we love Old Navy. I wish they sold men’s small talls, but I recently got my son some medium talls and although they were a little bit, I am sure he will grow into them in no time. Their boys pants and jeans were one of my favorites when he was still a boys size. I love the fact that they had an adjustable waist!